The chakras are spinning wheels of energy that connect together in order to create a fluid and harmonious balance in the mind and body. In order to heal the chakras, we want the seven energy centers to flow freely. Even though we can focus on specific chakras depending on where we feel out of balance, it is beneficial to keep the entire system healthy. As with any type of healing modality, it is important to check in on a regular basis in order to maintain the balance. Our environment, levels of stress, and bodies are in constant change. Remember that chakra healing is always a work in progress. The Sushumna connects the chakras all the way from the base of the spine to the crown of the head. Each chakra is associated with a specific location, Sanskrit name and color. What does it mean to actually heal the chakras? We can think of these seven energy centers as a continuous link of energy. We want to heal them in order to create better health for our mind, body, and spirit. When an energy center is “blocked” we feel out of balance. The following methods can be used in order to help heal the chakras. The use of aromatherapy or essential oils helps to stimulate a response in the body in order to heal certain chakras. It is best to focus on each chakra during a session so we do not overload the senses. A diffuser or simple inhalation of the oil is sufficient. For example, lavender is one of the most commonly used essential oils and can be used to balance and heal all seven chakras. These unique sounds are the bija (seed). When we chant each sound we can activate the energy of the corresponding chakra. The sound of “OM” is the mantra that encompasses all the chakras and can allow the energy of the chakras to move out and up. The following bijas correspond with each chakra from top to bottom. There are several yoga poses that we can do in order to balance each chakra. These postures can vary from more active postures to very relaxing and restorative ones. It just depends on what we need. For example, we can energize our third chakra (solar plexus/Manipura) by doing boat pose and activating our core center. We can relax and soothe our third chakra simply by lying down on the belly. A simple chakra meditation is a very direct way to nurture our energy centers. This can be done with awareness and meditation or simply by making changes. 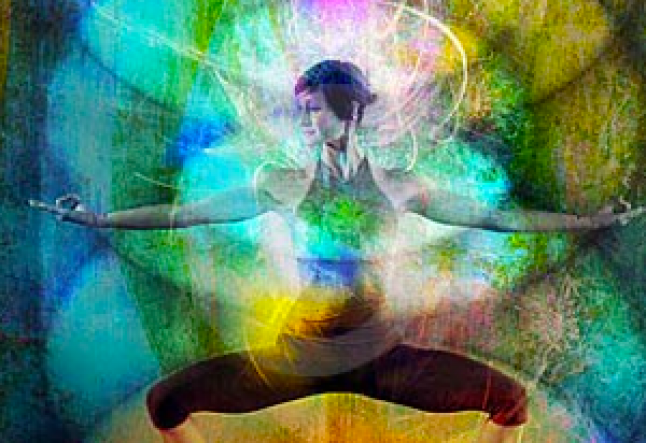 We can focus on a particular chakra by applying a practice to our lives. For example, the root chakra is associated with our sense of feeling grounded. We can clean our homes or create a stronger foundation in our lives in order to nurture this chakra. We can also stimulate the energy in a chakra by focusing on a specific color. The color for the root chakra is red. This can be done with visualization or with the use of gemstones. Pranayama, or yogic breathing is a great way to stimulate our chakras. There are many methods of breathing that can bring forth greater focus to chakra healing in general. When we work with the chakras, the energy moves up through Ida (the left channel) and Pingala (the right channel). These energies connect, Kundalini Shakti is awakened and then begins to rise up through the Sushumna. From there the highest energy center at the crown of the head is stimulated and we have moved into chakra healing. As a practice, chakra healing should be done with patience and with an open mind.